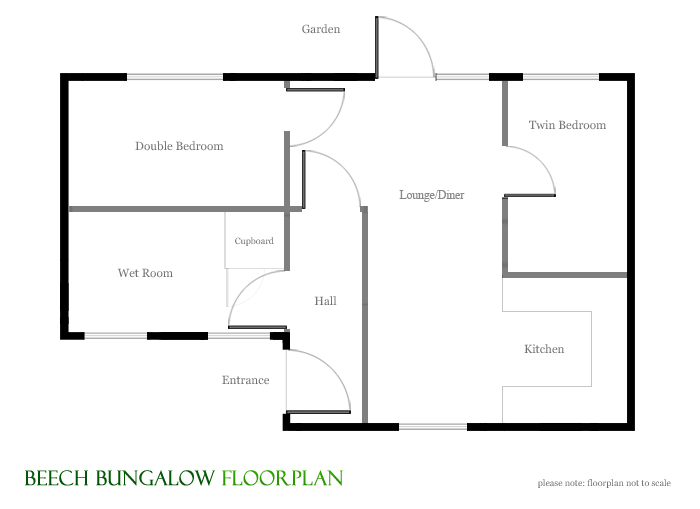 Beech bungalow has a lounge, 2 bedrooms, a shower room and kitchen. It can comfortably accommodate up to 4 people. The lounge is tastefully furnished and is very comfortable. French doors open onto the private garden with far reaching views of Blue Anchor Bay, the surrounding countryside and towards the Quantock Hills. Watch the Steam trains on the West Somerset Railway. Beech booked with Oak is a good choice if two families are on holiday together. Both bedrooms have views over the bay. 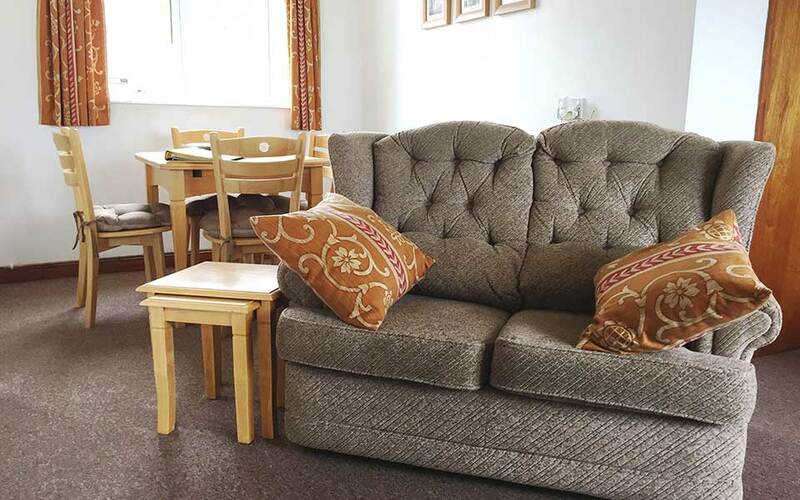 The twin bedroom is large and fully wheelchair accessible with an electric bed, (please note this is not a profiling bed) and there is a cosy double bedroom. There is digital TV in the lounge and twin bedroom, with a DVD player, CD/radio and free wireless internet access. The large wet room style shower room is bright and spacious. The open plan, modern kitchen, is fully equipped with electric hob and oven, microwave, dishwasher and a generous supply of crockery and cutlery. Enjoy the paromanic views in the well maintained garden with its table, chairs and parasol, a lovely place to eat al fresco. A BBQ is available on request. Bed linen and towels are provided. We use duvets on all our beds but sheets and blankets are available on request. We also provide tea towels and an oven cloth as well as essential cleaning items (washing up liquid, J cloth, and much more!). There is parking for 2 cars within a few steps of the front door. Beech is suitable for disabled guests. It has a wheel-in shower room, wide doors and level access. Stanadrd single bed and electric bed 57 cms high.